This post is only available to DOGgone Truth Club members. 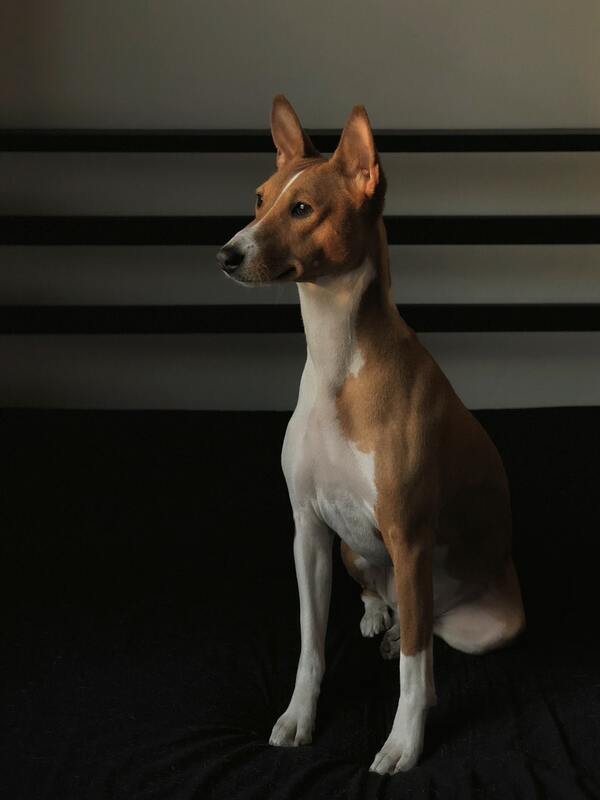 The Basenji membership is in memory of a dog I had as a child for a very short time. His name was Tippy Toes and what a beautiful, amazing dog he was! He taught me so much and while I didn't have control over the outcome of all that happened with him I still remember what a beautiful soul he was and how he gave me so much as a lonely child. Sadly I don't even have a photo of him but his memory lives on in me. His story is in my book, Animals Taught Me That. The Basenji is an African bark-less dog. Who is the Basenji Membership for? Then THIS is the membership for YOU! You may switch to a paid membership and gain access to courses as stated in the paid plans at any time as well as gain access to the community! 1. I base everything I teach upon my Christian faith. It's not in your face overt but it it there at the root of it all. 2. This is ALL and ONLY NATURAL dog health. Not integrative. Not conventional. Naturopathically Natural only! 3. I use and reference only Young Living Essential Oils in all the classes. Well DOGgone it, what are you waiting for??? JOIN TODAY and help YOUR dog get his/her THRIVE on! The Carolina Dog or is she a Canaan Dog? I don't know, but we've always thought Carolina Dog. This membership is in honor of this AMAZING dog, Schatzie, who put me on a course correction I REALLY needed. I didn't even realize the impact until she left this earth January 10, 2019. You'll learn more about her as you go through the courses in this membership and I hope she impacts you as positively as she did me! Who is the Carolina Dog Membership for? Do you want to be be empowered to make your own informed decisions for your dog and take back control of her health? Do you need guidance in helping your dog’s body to resolve any acute or chronic health conditions so your dog regains her natural balance and health? Do you want to learn how to support your dog’s body naturally according to her species needs and nature through a whole health approach rather than suppressing his symptoms and treating disease as is the case in the conventional veterinary approach? Are you tired of the conventional approach that seems to only hinder your dog's wellness rather than help it? Do you want to learn ONLY the natural, true, holistic approach to dog care rather than an integrative approach? Do you want the step-by-step system of how-tos and the support you need to help you take action? Do you want to learn how to promote and build health not only in your current dog but with any dog in your household present and future? Weird Animal Girl / Guy Tribe - W.A.G. That came to me as a slur as a child but I learned there are a LOT of us and we are going to OWN it TOGETHER! When you join you'll gain immediate access to several essential oil courses as well as the basic dog wellness course based upon years of my consulting with clients. NOTE THAT CLASSES ARE DRIPPED OUT WEEKLY. You'll also gain immediate access to our Private Community Group (NOT FB) and the Monthly Q&A Topic Specific Live video presentations. Unlock a new course each month. The longer you stay a member the more courses you'll receive up to SIX additional courses. After the first 30 days you are a member, 1-2 sections of a course will be unlocked to you each week! Access evergreen podcast content no longer available to the public in the seventh month of your membership. You may cancel at any time unless you want to remain part of the community as well as receive the new monthly content! 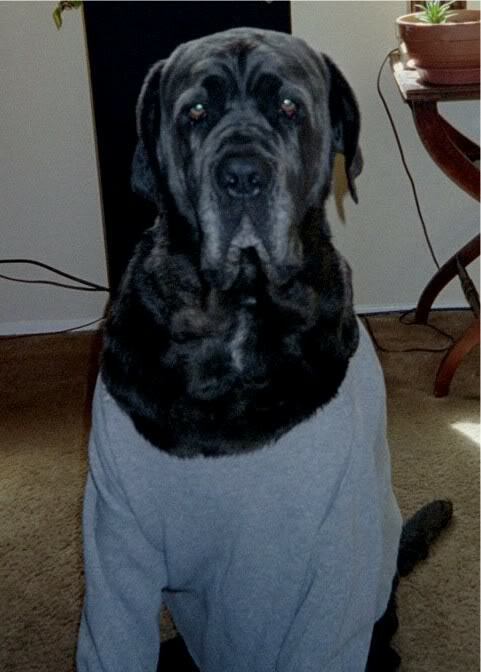 The Neapolitan Mastiff Membership is in honor of this AMAZING dog, Shadrach, who didn't open a door for me into natural health, he blasted a whole in the wall so I'd not be able to miss it! He's the reason I am in natural health as an animal naturopath. He may have passed away April 5, 2011 but he inspires me to this day! Who is the Neapolitan Mastiff Membership for? Do you want to be be empowered to make your own informed decisions for your dog and take back control of his health? Do you need guidance in helping your dog’s body to resolve any acute or chronic health conditions so your dog regains his natural balance and health? Do you want to learn how to support your dog’s body naturally according to his species needs and nature through a whole health approach rather than suppressing his symptoms and treating disease as is the case in the conventional veterinary approach? Do you want monthly private one-on-one sessions with an experienced pioneering animal naturopath that can help guide you more specifically? When you join you'll gain immediate access to several essential oil courses as well as the basic dog wellness course based upon years of my consulting with clients. Please note that some of the classes are dripped to you rather than you receiving all content at once. You'll also gain immediate access to our Private Community Group (NOT FB) and the Monthly Q&A Topic Specific FB Live video presentations. Unlock a new course each month. The longer you stay a member the more classes you'll receive up to SIX additional courses. After 30 days of your membership you'll unlock 1-2 sections of a course per week! Evergreen podcast content no longer available to the public will become available to you in your 7th month. 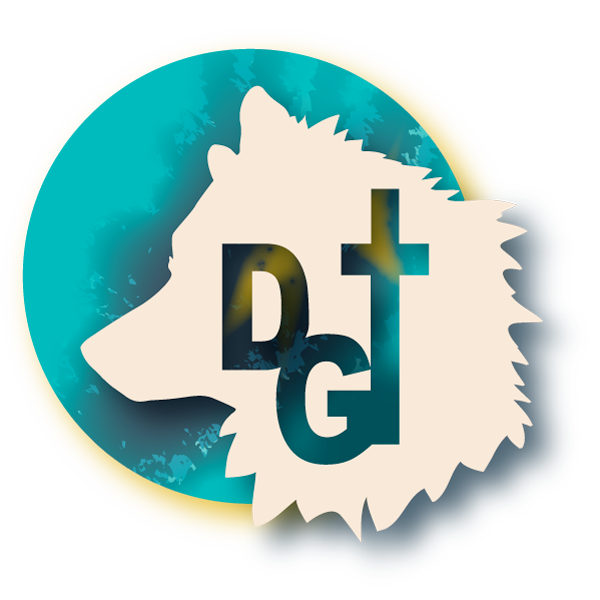 You may downgrade to the Carolina Dog at any time when you feel you've reached enough private one-on-one guidance so you may remain part of the community as well as receive the monthly content. How Does this Online Membership Work? All of the courses/lesson and LIVE Facebook videos will be recorded for you to listen to whenever you desire here in the club. The FB Live videos can be watched live if you are able in the group, otherwise they will be added to this membership site each month and available to you. Additionally you will be able to interact right here on each course in the club with other members and with me. The club will with organization so you can easily access resources and lessons. You don't have to no, but the books I suggest in this membership are SO good you'll wished you had if you don't! I know several of the authors personally and how they raise their own dogs. I've read every book I suggest here also. So I'm not telling you to do anything I've not done myself AND applied what I learned as well. Hopefully you'll see the benefit as well. Everything in this membership is designed to empower and encourage you so you'll be able to TRULY advocate on behalf of your dog! You don't have to but learning in a focused environment with community support can help you move forward from learning to taking action! This will help you get the results you are eager to see in your dog!! Do you teach integrative animal care? No, this is 100% based on natural, whole health for your dog. Nothing but the CARNIVORE truth! Will you tell me what I need to do when my dog is sick? I empower YOU through this membership and education to be able to advocate and make YOUR own informed decisions for your dog. What are the benefits of the community? The community group is a great way to benefit from discussions and brainstorming. You will also have the opportunity to share your challenges and receive group guidance. If you need one-on-one guidance then the Neo Mastiff Membership will be the only one where you receive that. What if I don't like what I'm learning? We each have to make our own choices as regards our pets. The best decisions you can make are based on what your dog needs over and above what you need. However, some just aren't ready to receive what I teach here YET, so you may cancel at any time as your membership here is month-to-month. If you cancel before your month is up however, there will be no refund for that month. It's best to go through the free membership first if you're uncertain about what you'll be learning here so you don't ever spend anything before you know what is being taught. Sign up for the free Yorkie Membership to decide first if this is a major concern for you this way you won't be out any money if you decide you aren't ready for this way of raising your dog - even if your dog was BORN ready! Why do you only use Young Living Essential Oils? Because I know the integrity and efficacy of these oils. I didn't know much about them when I first joined when you go through my class about my Neo Mastiff Shadrach, you'll learn why in depth. I've tried others. I wasn't impressed to say the least. But after learning all I have about Young Living, the company, the Seed-to-Seal process, the care and quality I receive, there just isn't any other I'd use for myself and definitely not with my dogs. I'd only ever trust the DOGgone TRUE ones with them! You don't have to agree and you certainly have the freedom to choose what you want to use. However, I teach here as regards essential oils will be only with Young Living. Why do you base everything in a religion? Let's be clear, true Christianity isn't a religion, it's a personal relationship with God. Secondly it's who I am not what I do. That isn't something that can be separated. That said, it's not something I'm forcing on anyone. We have had plenty of students at my former school that aren't Christian but what they learned about animal health was worth it all to them, especially since these aren't religion classes but my faith is interwoven. Most people weave their beliefs into who and what they do but for some reason Jesus seems to offend people so that's why I prefer to address this in advance so there aren't any surprises. This membership is optional after all isn't it?